Alex and I moved to Healdsburg, California about 5 months ago from the Bay Area and this so far has been one of our best decisions we have made since we returned to California. Healdsburg is a great little wine country town located in the north of Sonoma County and it has everything we could want. Since Healdsburg is a huge destination for wine tasting and foodies, we thought we would highlight some of our favorite places to drink and eat local in Healdsburg! We are by no means experts, but hey we like wine and food and that is what this town is all about! The big draw of Healdsburg is that it is located between Dry Creek Valley, Alexander Valley and the Russian River Valley, which are three HUGE wine growing regions and because of this we have amazing wine and wineries located just minutes away. We live in Healdsburg and we are always walking downtown where there are over 40 tasting rooms there and of course there are hundreds throughout the valleys. That’s a lot of options but here are our favorites which we always seem to revisit. 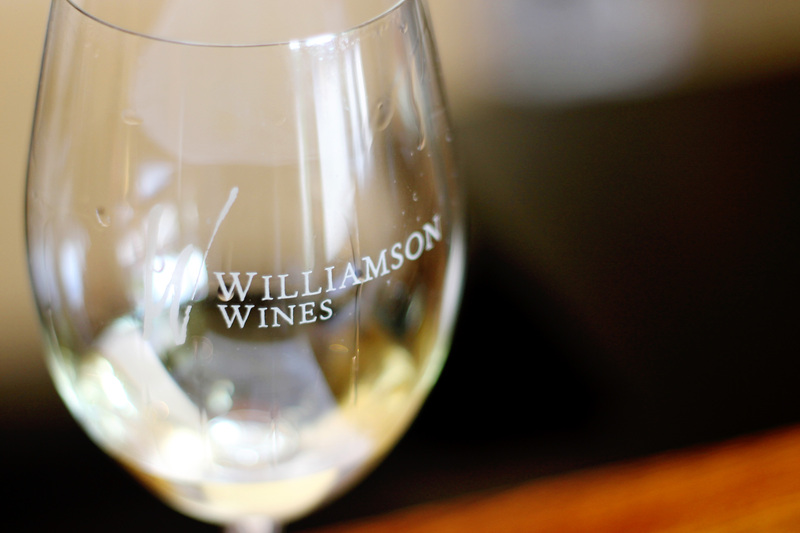 We may be partial to Williamson since all of our friends work there but they make fantastic wine and their wine tasting experience is amazing. They are located just off the main plaza in Healdsburg on Matheson Street and are a family owned winery. Dawn and Bill along with their son Sam, all fantastically friendly Aussies, have created their tasting room to be a fun environment to celebrate great wine and food. The staff is awesome (which is why we are all friends….) and they are such a fun group. Their tasting is also fantastic. 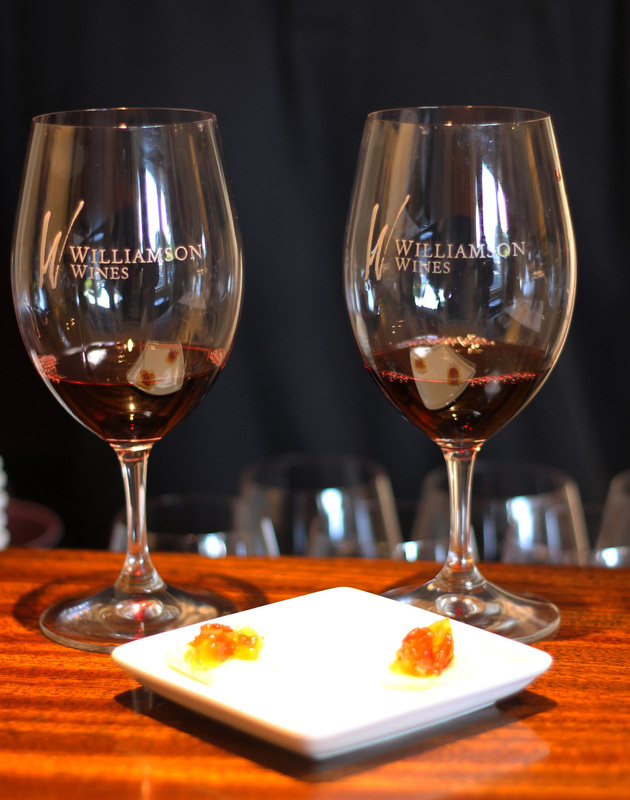 Williamson is all about pairing phenomenal wines with equally amazing food and you really get to experience this when you head to their tasting room. Every tasting involves a cheese pairing and its not just a slice of cheddar either. I am talking about Irish cheddar with truffle salt paired with their Passion Pinot Noir or a slice of mango ginger stilton paired with the Chantilly Chardonnay. It is fantastic, visit Williamson you will not regret it. Did I mention that the tasting is always free???? There are toads everywhere at Toad Hollow! 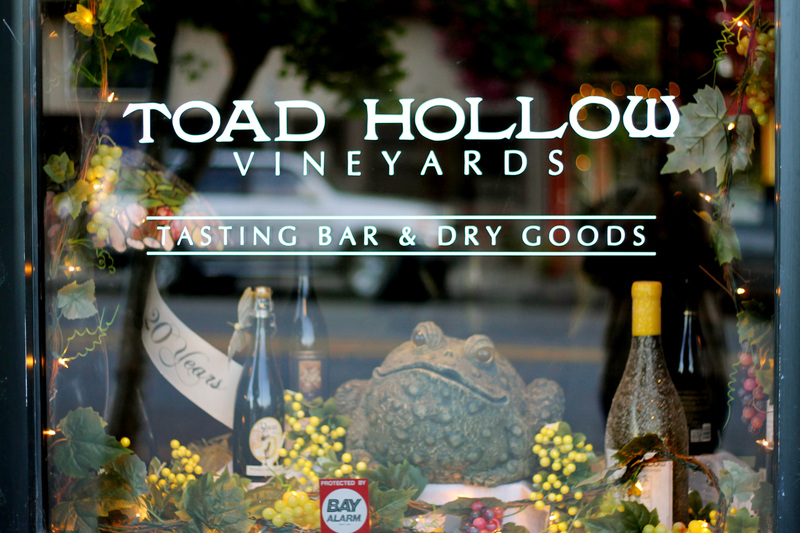 Toad Hollow is delightfully fun tasting room just north of the plaza on Healdsburg Avenue. They have an amazing tasting list where you get all the wines on it for $8, or free if you buy a bottle over $8. They start you off with their awesome champagne actually made in France called Amplexus and then continue down the list. They have an awesome rose which Alex and I are fans of and then a great red blend called Erik the Red. If you are lucky they will pull out the Viking horns while you are there. Cartograph called our name as soon as we walked in and saw all the maps and references to longitude and latitude, as travelers we are suckers for maps (you should see our house), and it helped that Cartograph has awesome wine. They currently have a Gewurztraminer on tap that is out of this world. It is light and fresh and not sweet and at all. It is a perfect wine for a lovely warm summer afternoon. I am wishing I had a glass right now! Cartograph also offers wine by the ½ liter so you can sit and enjoy your afternoon. Chateau Diana is located off Dry Creek Road in the famous Dry Creek Valley and they have a great selection of wines. They have this amazing white wine called Fleur de Lys on their 1221 label which is 67% sauvignon blanc and 33% semillon; it is our go to white wine right now. Chateau Diana is also famous for their Zombie Zin and they always have zombie themed parties going on. Although Chateau Diana is a larger winery and you can find their wines across the country it is worth visiting their tasting room because some of their wines they only sell there including the 1221 label. Also if you are a sweet wine fan they have a whole tasting list for sweet wine including a pink moscato. 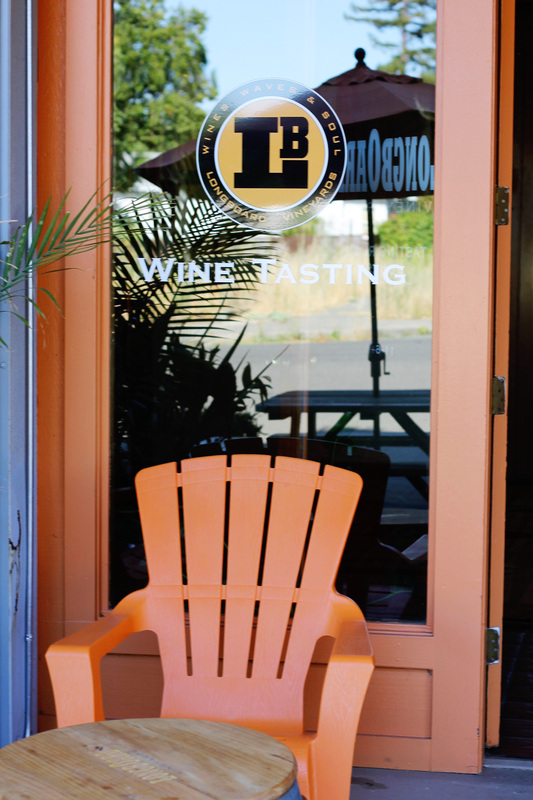 Longboard is the perfect tasting room to have at the end of our street, one because the wines are great but two because it’s surf themed. The tasting room is full of vintage surf boards and they always have surf videos playing as well. They also are connected with the famous surf competition/spot Mavericks and one of their best cabs is called Mavericks after this. Also every year they have a Mavericks party where surfers come out and the wine flows, but of course it was last Saturday and we missed it 🙁 Besides the Mavericks Cabernet Sauvignon they also make awesome Syrahs and one of the best Carignanes I have had in awhile. They also recently released a line of bubbly. Their bubbly rose is AMAZING! I highly suggest you pick up a bottle or three for a special occasion, like it is a Thursday night and you want a glass of bubbly! Sbragia is located off of Dry Creek Road right before Lake Sonoma and is known for its stunning views. While the tastings are on the expensive side it is totally worth it to bring a picnic up and buy a bottle. You cannot beat the views of the valley from here and for me that’s why it makes it onto the list. While these two wineries are not actually related, the list would not be complete without the wineries where we work. 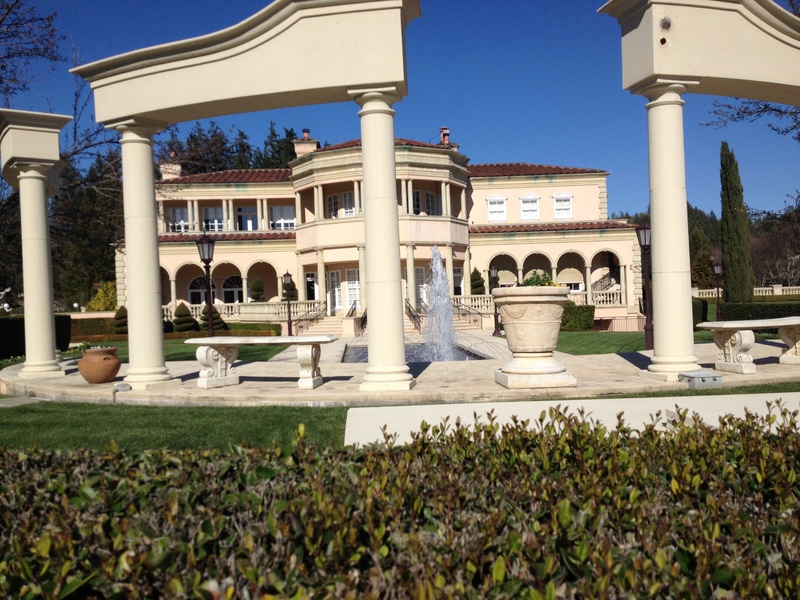 Ferrari Carano is located in Dry Creek Valley and it looks like an Italian Villa and has some great Italian wines as well. Alex’s favorite is the Siena which reminds us of all the amazing table wine you can get in Italy. 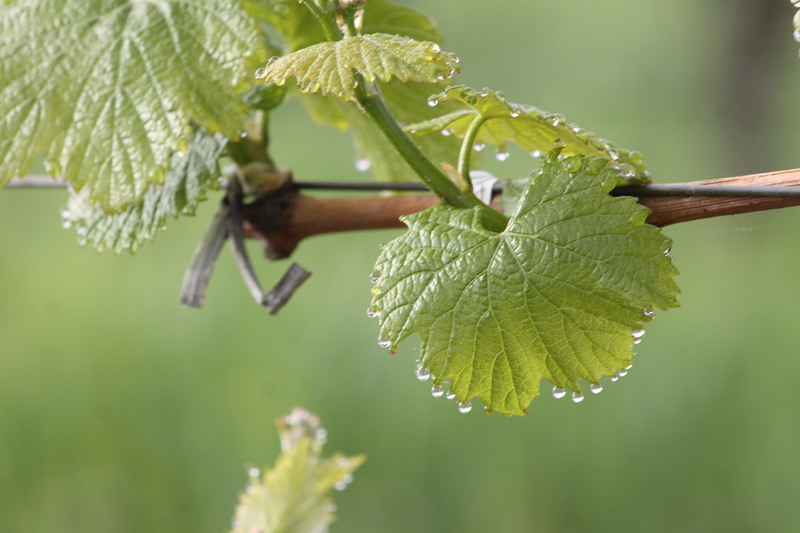 Soda Rock Winery is located in Alexander Valley and we specialize in Bordeaux varietals. My personal favorites are the Cab Franc and the Petit Verdot which sadly we are almost always out of. Soda Rock also looks like the Alamo and we have a Barn on property that is original and dates back to 1869. Of course I ended up working somewhere historical…. While we may be in Wine Country we are by no means lacking in awesome craft beers. If you are driving to Healdsburg via San Francisco definitely consider a stop at Lagunitas in Petaluma (they have an awesome beer garden) or Russian River Brewing Company in Santa Rosa (Especially if Pliny the Elder is on tap). However in town we have our own local brewery and its awesome, perhaps you have heard of Bear Republic or maybe its most famous beer Racer 5? Yup they brew it in town and they have a brewery/brew pub which is open every day. Not only do they always have Racer 5 on tap but they also have a ton of seasonal and special beers on tap. Alex’s favorite was the Apex but unfortunately it won’t be back on tap until next MAY! It is always worth a stop though even without Apex on tap. They always have at least 10 beers on tap that they brew so you will find something you love and if you can’t decide you can always get a sampler. They also have awesome garlic fries! 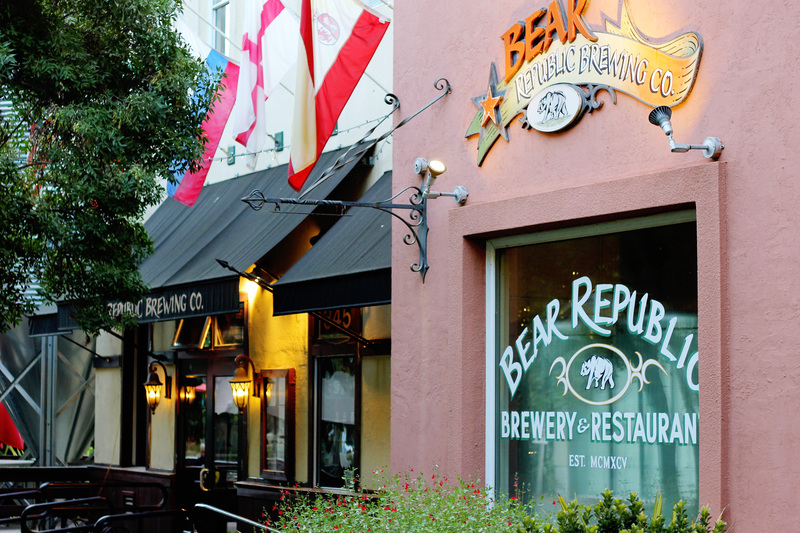 Bear Republic is located just off the plaza and is set back behind Dry Creek Kitchen at the intersection of Plaza St. and Healdsburg Ave. If you head here now they also have a lovely beer garden outside. My go to place for awesome old world sparkling! 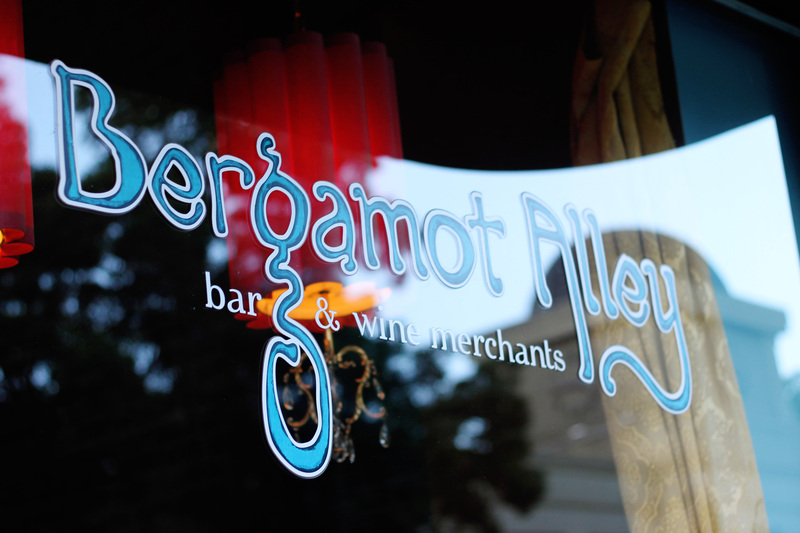 Bergamot Alley is a bit different from the other wineries we have listed as it is a wine bar and not a winery. Bergamot also does not serve any California wines, only Old World wines. It is a great place to spend the evening especially if you are looking for some different wines and they always have fun events going on. During summer on Tuesdays after Music in the Plaza they always have live music and on Mondays they play movies. We saw “Caddy Shack” the other night and it was great, everyone was quoting the lines and it was just a great atmosphere. Also Bergamot is open until 1am on the weekends and their record collection is enviable. Oh Spoonbar, how we love you! Seriously, this is probably one of the best cocktails bars we have had the pleasure to frequent. If you find yourself wined out while visiting our little town than pop on our to Spoonbar in the H2Hotel. You will be greeted with a long narrow redwood bar filled with plants, flowers, and citrus and a wall of alcohol. If you are looking for an obscure alcohol they probably have it here. They have a wide range of cocktails from the known Moscow Mule with their homemade ginger beer, their own Jalepeno Business with spicy jalepeno foam, and my favorite, the Peak Bloom, which is so refreshing I wish I could have it now! Spoonbar is a world class bar and you most definitely should check it out! Say hi to Stephen for us! Oakville Grocery is more of an upscale deli with a small selection of fresh fruit and veggies and a lot of wine. They have awesome (if slightly expensive) sandwiches and salads. They also have pizza as well. Alex has had their sausage pizza which was great. It helps that the sausage was homemade too. My personal favorite sandwich is the chicken Gruyere with melted cheese, caramelized red onions and fig jam. Hello, so good. Oakville Grocery is also located conveniently next to Williamsons on Matheson St. When Alex and I are feeling Mexican this is where we go. It is a small taqueria and has all of our mexican favorites. I particularly love the Torta with chicken, guacamole and sour cream. Alex loves their carnitas and lengua (tongue) tacos. They also have gigantic breakfast burritos. 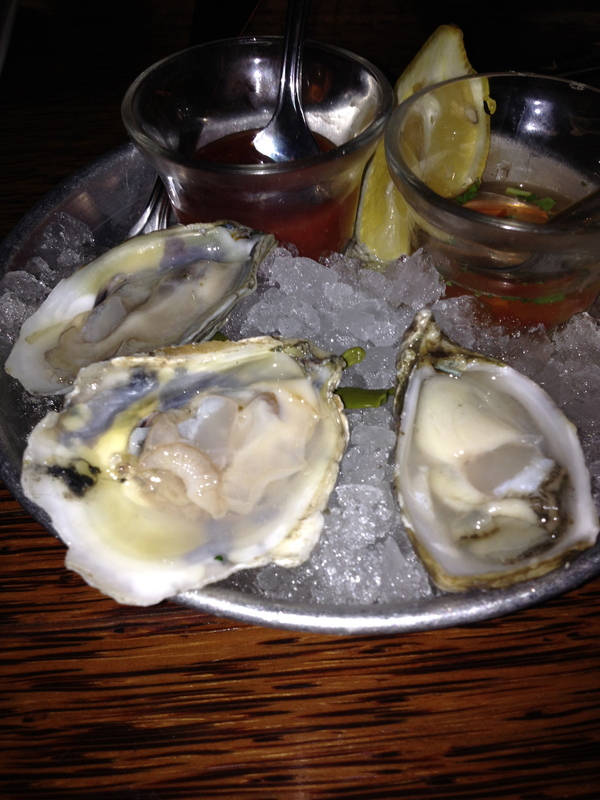 These things could feed a family of four. Taqueria El Sombrero is located on Center St. just south of Oakville Grocery. The Wurst is a perfect spot if you want something equally delicious and bad for you (but in a good way). They specialize in sausages and have all kinds. You can choose your sausage and condiments if you like or you can get one of their combos. The Greenbay Brat is a mouthful with caramelized onions, Liar’s Dice BBQ sauce, bacon, cheddar, and butter pickles. 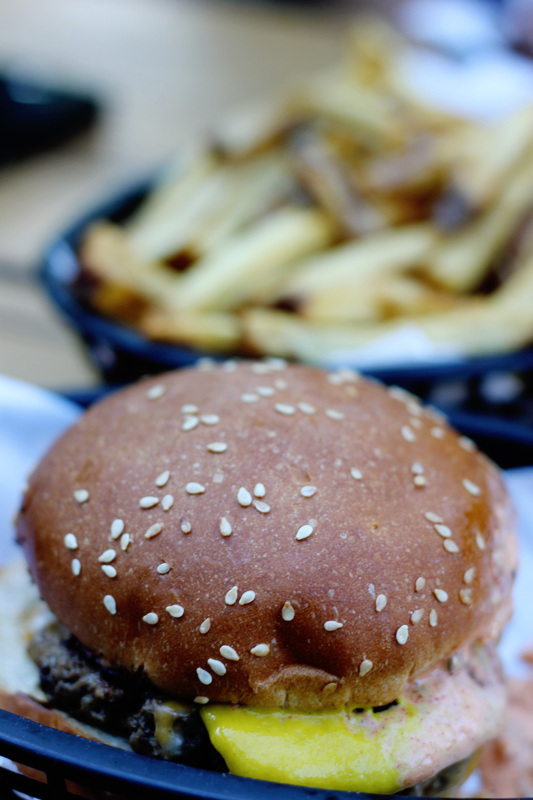 They also have burgers and salads…. The burgers are fantastic but we have no experience with the salads and they have great local beers on tap if you are all wined out. 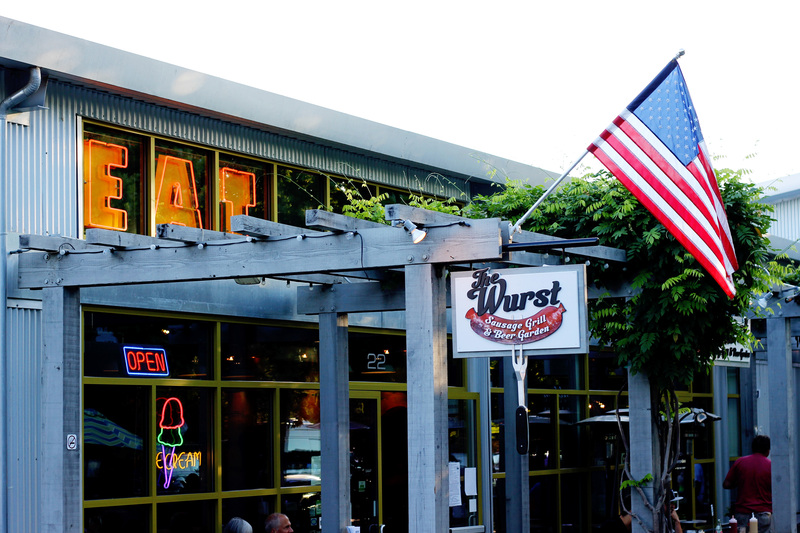 The Wurst is located on Matheson St. across the plaza from Williamson and has a great outdoor patio for enjoying the day. Big Johns is the perfect grocery store if you are looking for picnic supplies. They have an awesome selection of cheeses and great bread from Costeaux Bakery. They also have an awesome deli and salad bar. Did I mention their olive bar? This grocery is perfect for picking up all things local just on the touch expensive side if you feel like shopping here for your everyday items. You are looking at probably the best gnocchi al bolognese outside of Italy. Did I mention that the sauce has short ribs in it! Baci is freaking amazing. Alex has been writing a post about how much we love Baci and it will be up soon but suffice to say we are a bit of Italian food snobs and we LOVE Baci; it has the best Italian food in town, end of story. 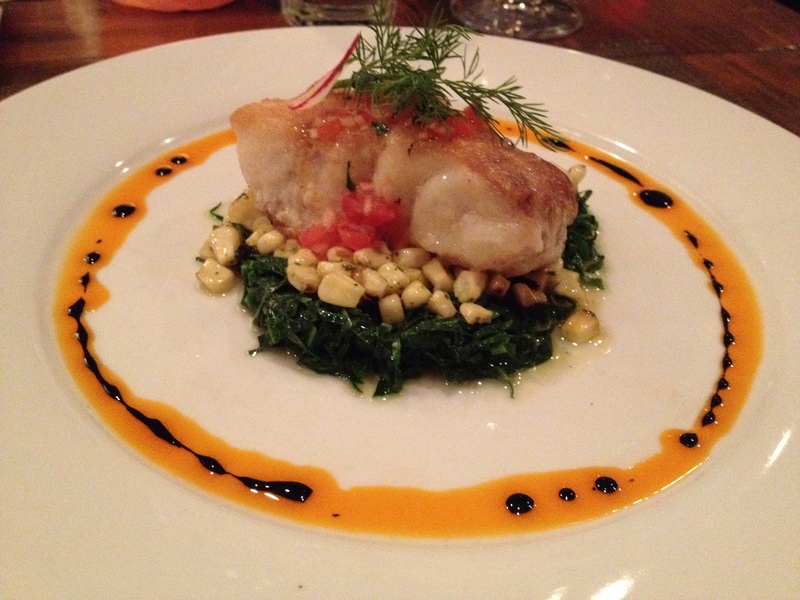 Dry Creek Kitchen is one of the best restaurants in town and also probably one of the most expensive. Alex and I have only been once; we went for his birthday dinner and we went all out. I am talking appetizers, our main dishes and of course dessert and 2 bottles of wine. We had this amazing bottle of ORANGE sauvignon blanc, suggested to us by the sommelier, which you may have seen on our Instagram a few months ago. It is one of the best “white” wines I have ever had. We also brought a bottle of Cabernet from 1990; it was a gift from a family friend of Alex for his birthday. The appetizers we had were amazing, the smoked trout pasta, gnocchi with goat cheese and the scallops with black truffle butter were some of the best appetizers I have had in awhile. For our main dish I had the halibut with a squid ink crust and Alex had the Char Grilled New York Steak. This was one of the best meals I have ever had. If you are looking for an experience head here. 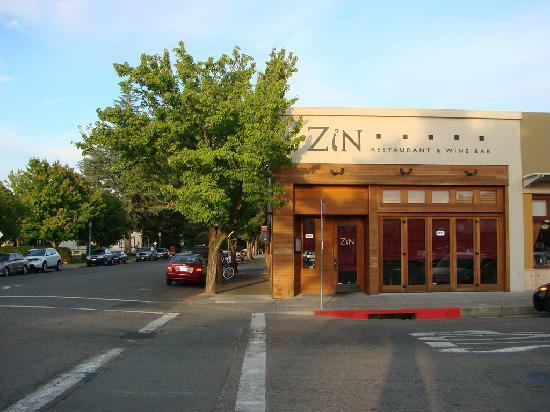 Zin: UPDATE: Zin is unfortunately closed 🙁 There is a new restaurant in its place called Valette and was just voted one of the top restaurants in America by Open Table. While we didn’t get to try it before we left, we have heard wonderful things from our friends! Cafe Lucia is our favorite Portuguese restaurant in town, well it is the only the Portuguese restaurant in town, but we still love it. We have taken almost all of our friends and family who have come to visit here and it hasn’t disappointed. They have a great wine list with some amazing Vinho Verde from Portugal and they also don’t charge corkage if you bring a local wine. The appetizers at Cafe Lucia are to die for; Alex loves the whole grilled sardines and I love the scallops crusted in chorizo (Are you noticing a scallop theme?). My absolute favorite main dish here is the whole roasted sea bass and Alex has had some amazing main dishes including the traditional Bacalhau no Forno which is a casserole of salt cod, potatoes, and olives. Cafe Lucia is one of the friendliest restaurants in town and the fact that I can end every meal with a wonderful glass of port is a win in my book. 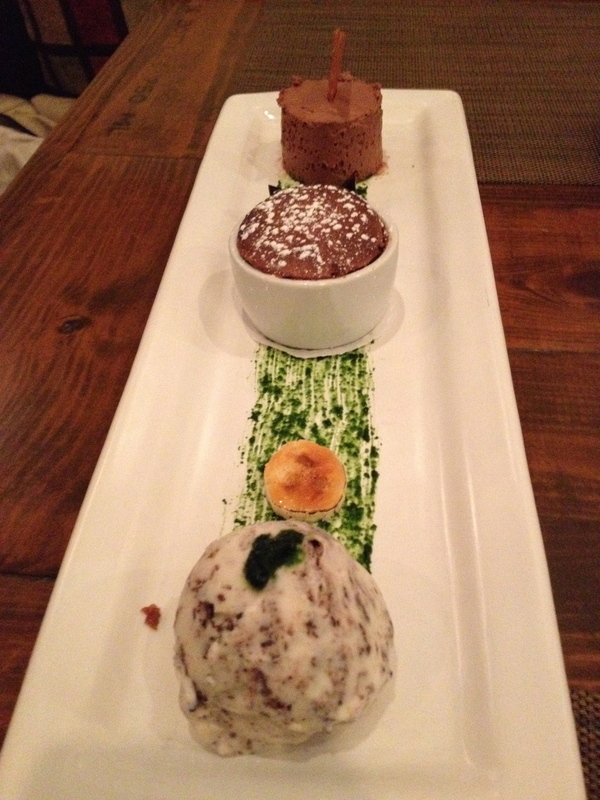 And this is their chocolate dessert plate; mousse, mint chip ice cream and souffle! Paired with a port and I am the happiest person in the world! If you are looking for ridiculously good Mexican food that goes beyond tacos and burritos than this is your place, not that they don’t make awesome tacos and burritos too. El Farolito is all about Oaxacan cuisine and cooking so think mole, molcajete, the best fish tacos ever, ceviche, and weekly specials that include homemade tamales. We made El Farolito a weekly meal and we absolutely love their mezcal bar as well. Their margaritas are the perfect way to wind down with at the end of the week and their bartenders are super knowledgable if you ever wanted to learn about mezcal and tequila! Bravas is the sister restaurant of Willi’s and specializes in Spanish tapas. Alex and I stopped in here for a few appetizers and some sangria and then we saw the menu…. We ended up staying for quite awhile. We started out with some delicious, crisp Alberino white wine and some Pan Tomate. 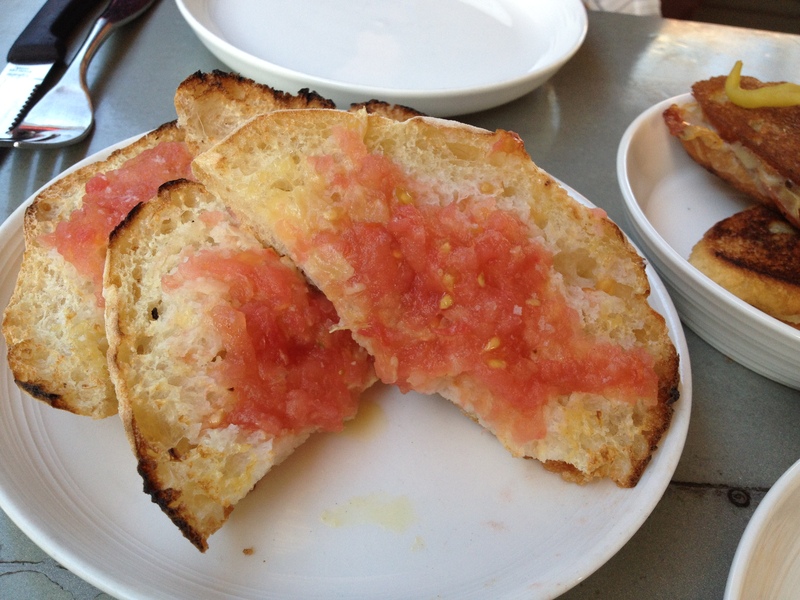 Pan Tomate is so simple but so good, there is something so delicious about toasted bread with tomatoes rubbed on it. 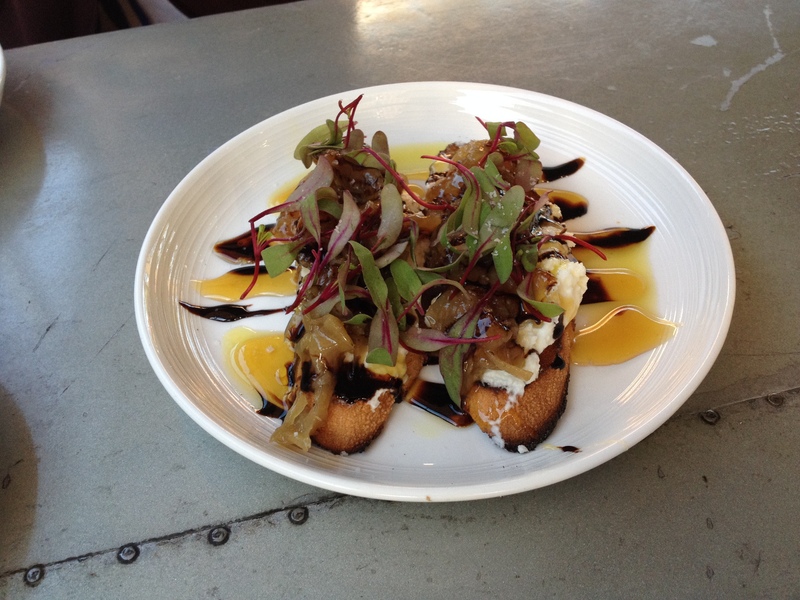 We then had a goat cheese crostini with truffle honey and a reduced sherry sauce. These two dishes alone sold me on Bravas and then we kept eating and ordering more drinks. We finally finished off the meal with some cava sangria and toast covered in nutella with orange zest and vanilla sea salt. These may not be the most traditional Spanish tapas you have ever had but man are they delicious. There are other things to do in Healdsburg besides wine tasting and eating, although these are perfectly acceptable things to do when you are on vacation or just enjoying your weekend. 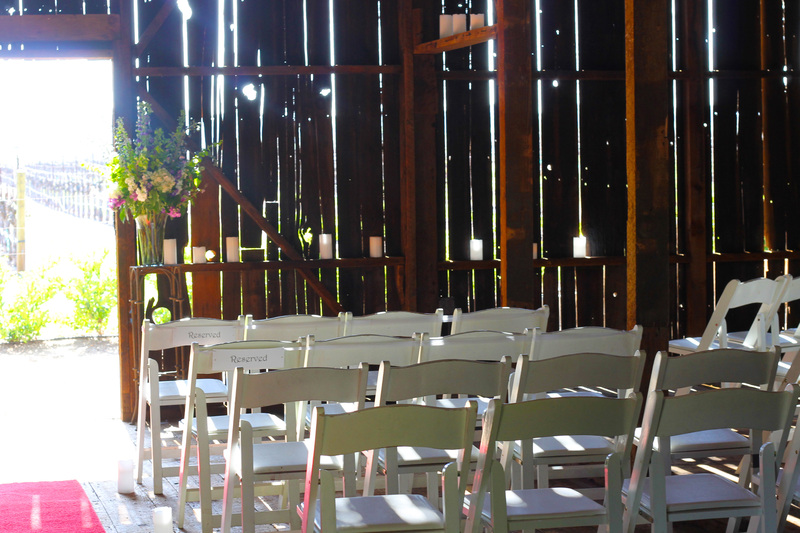 If you find yourself food and wined out however here are some of our favorite other activities. Hiking is a bit too strong of a word to use for this walk through the woods but it is a great two hour walk through the redwoods. 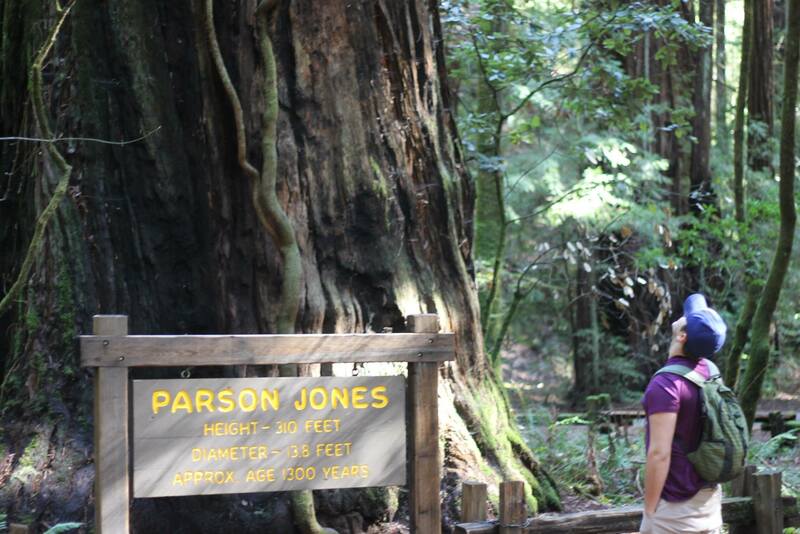 If you do not feel like heading up farther north, Armstrong Woods is a great way to get in your redwood kick. The trees are giant and there are a lot fun photo opportunities to goof off in the trees. It is also a nice place to escape some of the summer heat. 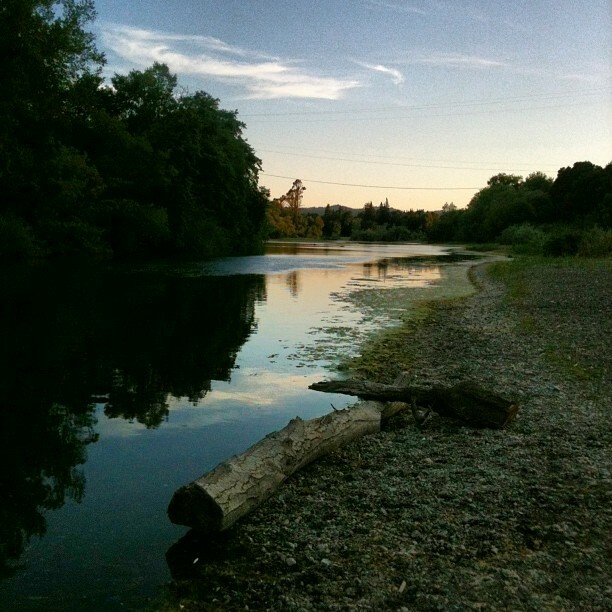 Floating down the Russian River is one of the most popular activities here on the weekends even with the water level fairly low. There are still great places where you can lounge and float down the river just don’t forget to bring some cold bottles of white wine with you! Tuesdays in the Plaza is a great summer tradition in Healdsburg. Basically, every Tuesday the plaza in downtown Healdsburg turns into a festival, there is live music, fantastic food stands (aka The Wurst) and you can bring your own food, beer and wine into the Plaza to enjoy all the music. I am pretty sure the entire town comes out for music in the Plaza and space is coveted. People even stake out their spots as early as 11am! It is totally worth it to come by even if you end up with a spot with less than ideal views. Lake Sonoma is located just outside of town, only about 10 minutes north of Ferrari Carano, and is a perfect place to spend an afternoon. 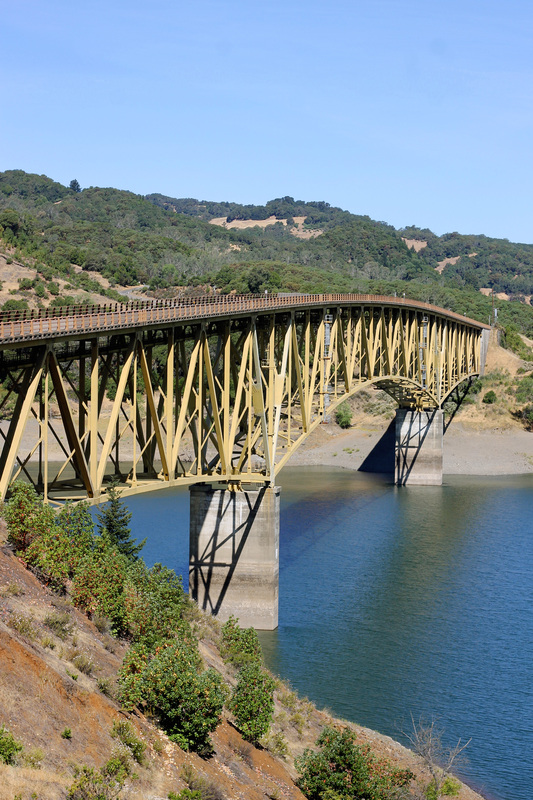 Lake Sonoma is a great spot to rent a boat or even some canoes or kayaks. You can even kayak all the way to the Pacific Ocean from the Lake. Healdsburg is such a perfect town to experience Northern California Wine Country. It is not nearly as crowded as Napa or even Sonoma and abounds in options of places to eat and drink. It is also easily accessible from San Francisco (we are only an hour and a half away!) and we are only 45 minutes away from the coast. Also we are here! This is such a perfect town and these are just a few of our favorite places! Come visit us and explore our awesome town! that gnocchi al bolognese with ribs in it sounds awesome! I’m hungry now! It is so amazing. I have such a hard time ordering anything else because it is so good! What a great round-up. I want to go to all of these places! Toad Hollow looks especially good. Awesome! If you want any other suggestions let us know. 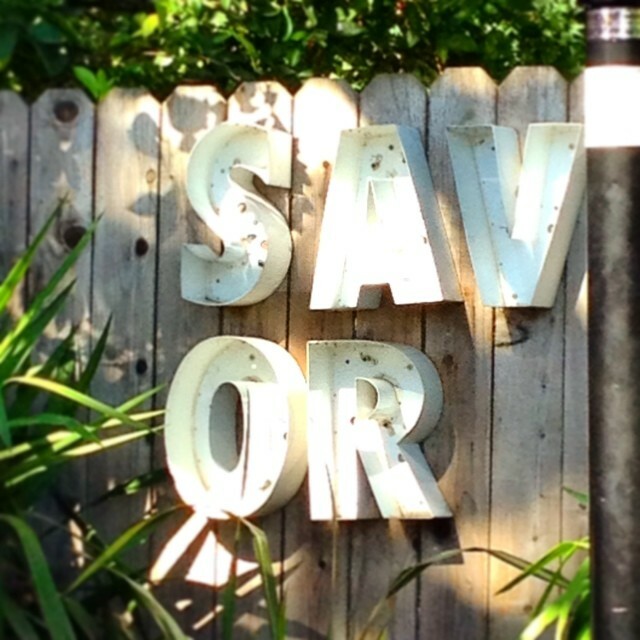 We live here in Healdsburg and also have spent a lot of time in sf too.